Truckload Services - Brothers Express Inc. 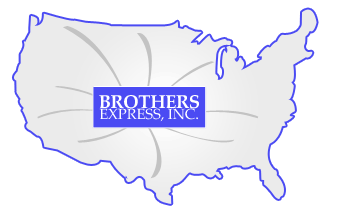 Wherever your load needs to go, Brothers Express can help you get it there! We have dry vans as well as refrigerated equipment to get your product delivered on-time. Click on the link below to contract one of our experienced, professional staff members who can get you the best rate possible! If you would like a rate quote on Truckload Services, please visit the Truckload Rate Request Page.